Our family Christmas’ are usually held at my parent’s home, with the main focus being on Christmas Eve. We invite our family and friends, and have a very merry gathering. There were two Christmas’ though that we went up to northern Michigan. In effort to simplify the packing, we only brought a few ornaments to decorate the tree. 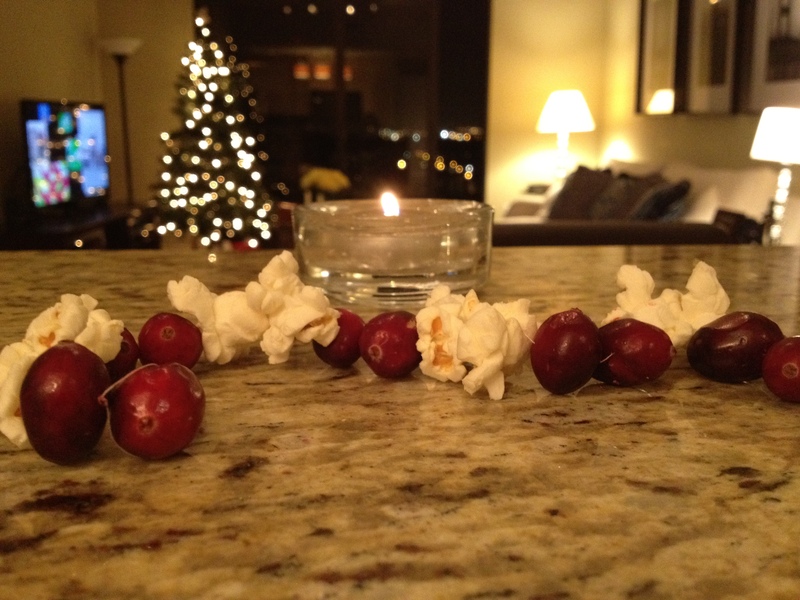 So to add some old fashioned fun to the tree, my mom had us make homemade popcorn and cranberry garland. I loved it! We don’t always have the luxury of time to make the garland, but I made a point to do this year. 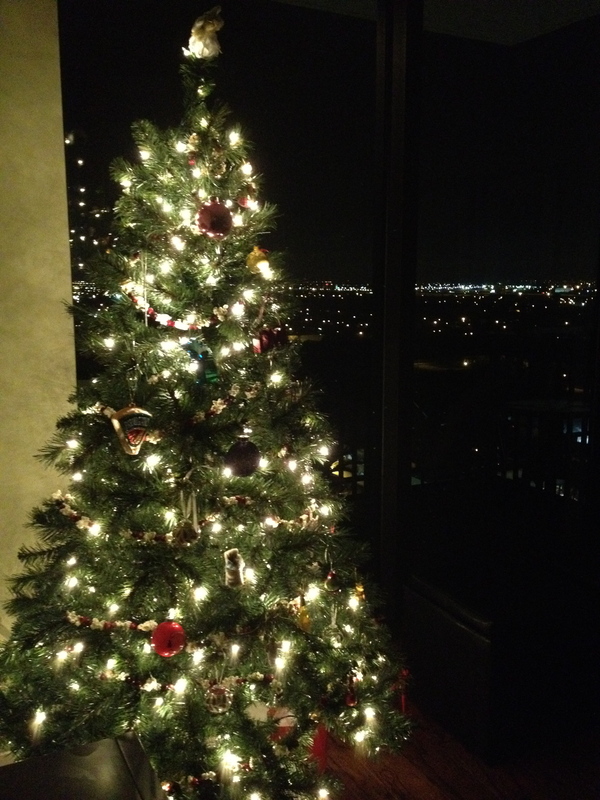 I had such a fun time with it, and it really added a lot of Christmas spirit to my tree! 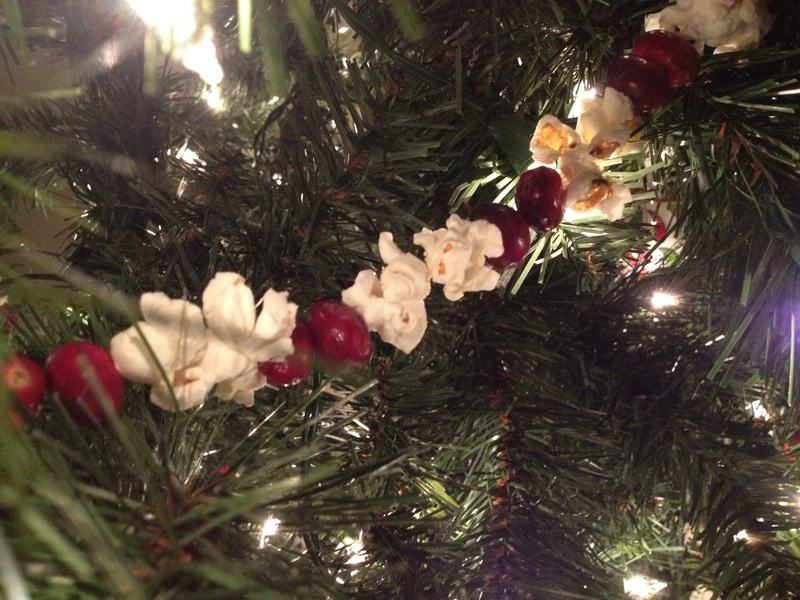 All you need is a thread & needles, package of plain popcorn and 1-2 bags of cranberries… depending on the size of your tree. Start each strand with a single cranberry, and tie a knot around it. Note on the popcorn – get it with no butter! Otherwise you’ll have a sticky mess! 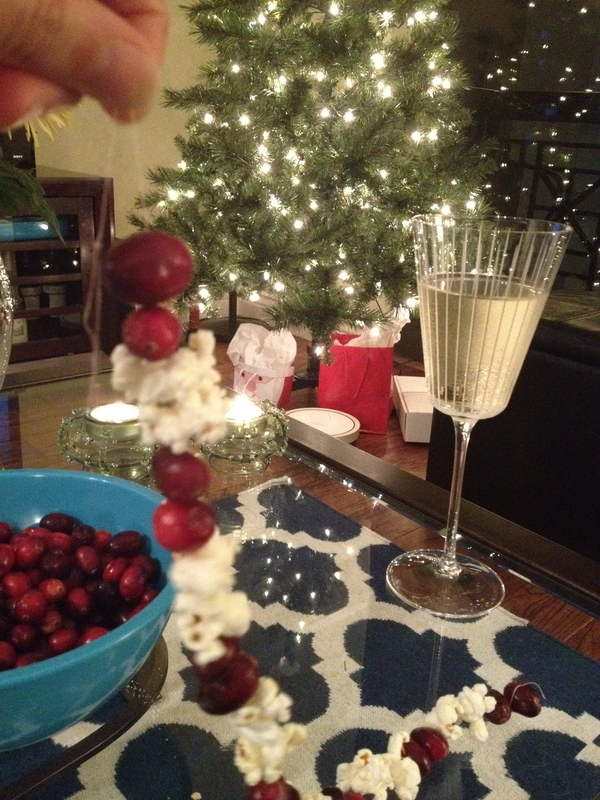 I watched Christmas movies while stringing my garland… and of course had some vino! 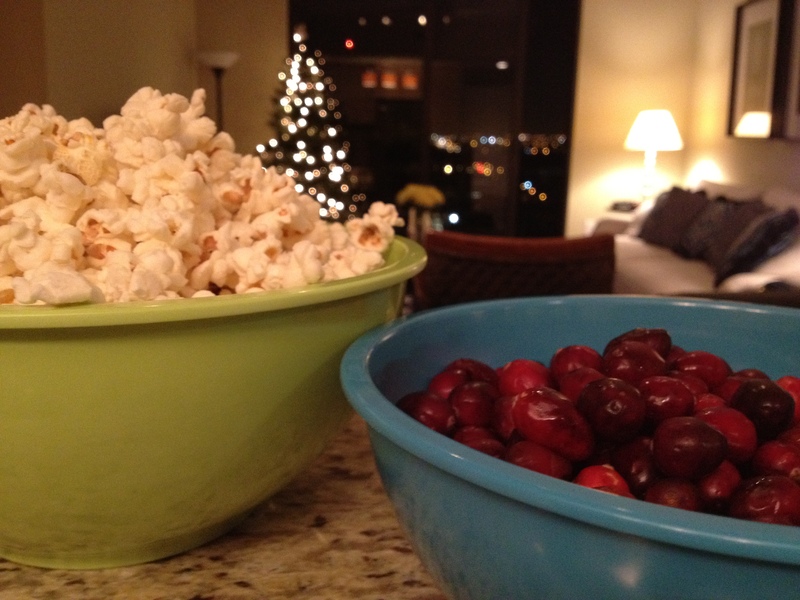 I did a rotation of two cranberries, two popcorn, etc, but there really is no rule on the pattern! Just have fun and perhaps sing Christmas carols while stringing!